Hi, I hope you all had a wonderful Christmas with your family and friends. I had a fantastic Christmas. 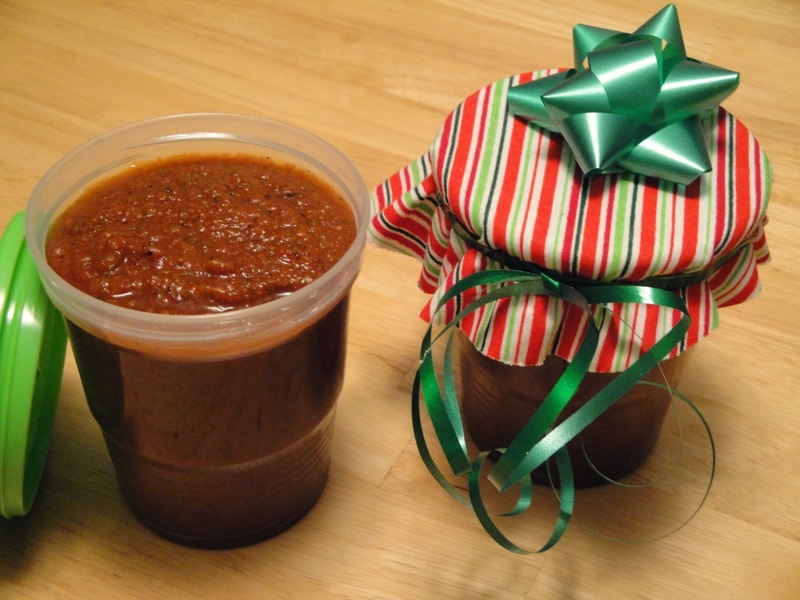 I gave some folks homemade salsa for Christmas gifts this year, so I'm late posting this because I didn't want to spoil the surprise. Not everyone could be with us on Christmas, so we are having two Christmas dinners this year. On Christmas day we went to my sister's home for Christmas dinner. Of course, I ate to much. We made a lot of dessert to cover everyone's request. Can't believe Christmas has passed. Now we are counting down to 2012. What was on your Christmas menu? Please leave your comments. Thank you! Your salsa looks so good. Who doesn't love salsa. gifts mean more, when they are made with love! I love the taste of roasted tomatoes in the salsa. It does make difference when you add different type of chillies for that nice kick. The salsa looks delicious and the meal sounds mouthwatering! Wow... two Christmas dinners..lucky you! :) The salsa looks wonderful. Hope you had a great time at your parties. Wow...you had a very merry assortment of desserts for your first dinner. I love deviled eggs and noticed them in both menus. Hope you had a happy holiday! I love the fresh taste of homemade salsa. It's so much better than store varieties. Have a wonderful New year! What a lovely gift to give Christine. My sister always sends us salsa and jam for Christmas. Glad you had a good holiday. Oh my gosh, your Christmas dinner sounds amazing! This salsa and a few baked chips sounds like a good healthy snack following all the rich food. That is a lot of desserts...my kind of dinner! Hope you have a wonderful 2nd Christmas dinner tonight...Homemade salsa sounds like a great gift! Thanks everyone for the lovely comments. They make me happy. I love salsa! This looks delicious (I would love to get this as a gift! ), I have never attempted to make my own but I may have to try now! Thanks for sharing! Homemade salsa looks so flavorful and spicy! So lucky to be your family and friends to receive this salsa as a gift. :-) Wow your Christmas dinners have lots of yummy dessert. I hope you had a wonderful Christmas! This salsa must be so yummy! What a great gift, Christine! I know everyone was thrilled with your homemade treat. We had prime rib for Christmas...very rare prime rib! mmmm... that salsa sounds wonderful! We had a turkey for Christmas dinner; mainly so I could get the resulting stock from the carcass. :) A happy new year to you and your family! Loved the salsa. And wow, what a wonderful menu planning! It seems as if the new year is going to be full of flavours as well! Looking forward to every post of your's. I would have loved to get a jar of this delicious salsa for Christmas! I'm a sucker for salsa, and yours looks like it'd be perfect at my New Year's Tex-Mex feast! Thank you Unorthodoxepicure. I hope you enjoy! Getting salsa would be a gift I would love. This looks delish. Thanks for sharing.